New to Cloud Commerce Pro customers this week is our Customer Statements report. This report is a list of all your customers who owe you money (like Aged Debtors Report) but this report also has superpowers to send automated statements as PDF files embedded in a covering email of your choice. 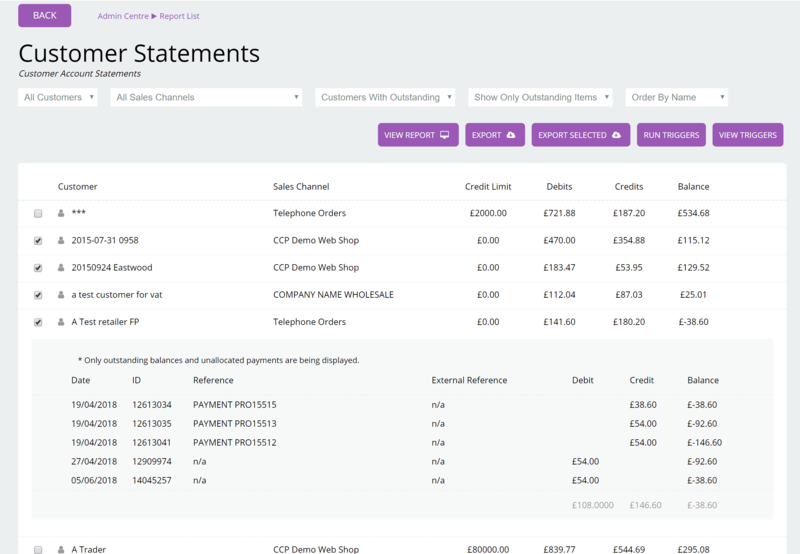 There are loads of filters to help you find exactly the customers and data you need and with a click of the Run Triggers button, you can send statements to all the selected customers. As ever if you need help setting up or using the new report please give the support team a call on 01524 230252.